Our classrooms provide a comfortable and conducive environment for ground schooling as prescribed and approved by the Civil Aviation Authority of the Philippines (CAAP). Ground school is conducted at the main office located at 2317 Nissan Car Lease Bldg., Aurora Blvd., Pasay City, Philippines and at the Hangar Office at Plaridel Bulacan. Ground classes can be conducted on a one-on-one basis up to five (5) students for special class. 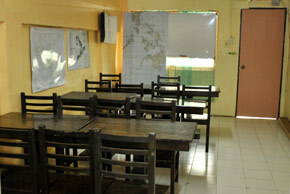 Six (6) up to fifteen (15) students per batch is also conducted for a regular class. Ground instructors are highly competent and duly licensed. Flight training on the various aircraft such as Cessna 150, Cessna 152, Cessna 172, Piper Aztec, and Schweizer Helicopter 269B or 300CB is conducted at the training airport located at Plaridel Airport, Plaridel Bulacan, Philippines. Flight instructors are fully certified by the CAAP. Our fleet of aircraft are currently registered and airworthy which is a pre-requisite prior to any flight. Our fleet of aircraft are at Masters Flying School Hangar located at Plaridel Airport, Plaridel Bulacan, Philippines. Maintenance of our fleet is conducted by Masters Aircarft Maintenance Organization (AMO No. 113-12); our in-house maintenance service manned by our highly qualified licensed aircraft mechanics. 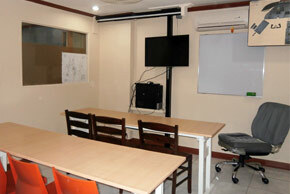 Classroom and Briefing room is also available at Masters Hangar, Plaridel Airport.